Join Gus at the Ranch twice a Month. 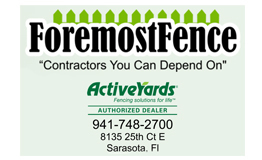 At Foremost Fence, we know fence, both Commercial and Residential. Our experienced team cares about the outcome of each and every job we take, and we aim for 100% customer satisfaction.